Thanks to your feedback, Swimia has turn out to be in just a number of months one the most important web sites of swimming pools. 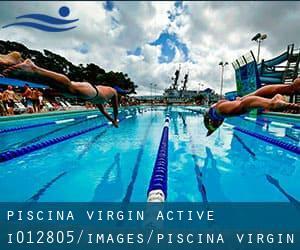 Here you might have all of the info we know about Piscina Virgin Active, in Casalecchio di Reno. Don't forget you can also promote this pool so Piscina Virgin Active will appear the first of Casalecchio di Reno, or perhaps the very first of your country, contact us to know far more. Swimmers like you reported 25 meters x 10 meters, 1.2 meters depth, 1.2 meters depth, Indoors. Phone number and e-mail address are number for this Swimming Pool. Updated on 2019 Piazza Fratelli Cervi , Sasso Marconi , ITALY (Postal Code: 40037). This great and large sports center lets professional swimmers like you enjoy 25 meters x 12.5 meters, 6 lanes, 1.2 meters - 1.8 meters depth, 1.2 meters - 1.8 meters depth, Indoors. Additionally, within these facilities you can try 20 meters x 10 meters shallow pool, Indoors. Phone number and email address are number for this Swimming Pool. Updated on 2019 Via Castelfranco No. 16/B , San Giovanni in Persiceto , ITALY (Postal Code: 40017). Swimmers like you reported 25 meters x 16.8 meters, 6 lanes, Indoors. Phone number and email address are number for this Pool. Updated on 2019 Via del Pilastro, 8 , Bologna , ITALY (Postal Code: 40127). Among all the activities offered by the center, if you are interested in swimming you may appreciate 25 meters x 16 meters, 1.2 meters - 1.7 meters depth, 1.2 meters - 1.7 meters depth, Indoors. If you need to contact this Pool, e-mail address and phone number are both number. Updated on 2019 Via Oriani 2/4 , Imola , ITALY (Postal Code: 40026). This sports center provides 25 meters x 16.8 meters, 7 lanes, 1.3 meters - 2.4 meters depth, 1.3 meters - 2.4 meters depth, Indoors. Contact data for this Swimming Pool like phone number and e-mail address are number. Via Domenico Biancolelli 36 , Borgo Panigale , Bologna , ITALY (Postal Code: 40132). This great and large sports center lets professional swimmers like you enjoy 25 meters x 12.5 meters, 6 lanes, 1.1 meters - 1.2 meters depth, 1.1 meters - 1.2 meters depth, Indoors. Additionally, within these facilities you can try 25 meters, 10 lanes, Indoor/Outdoor. Phone number and email address are number for this Swimming Pool. Via Nardi 2 , Ozzano dell´Emilia , ITALY (Postal Code: 40064). This sports center delivers 25 meters x 12.5 meters, Indoors. Contact information for this Swimming Pool such as phone number and e-mail address are number. Via di Corticella, 180/4 , Zona Arcoveggio , Bologna , ITALY (Postal Code: 40128). This sports center provides 20 meters x 25 meters, 10 lanes, 1.2 meters - 2 meters depth, 1.2 meters - 2 meters depth, Indoors. Contact details for this Swimming Pool for instance phone number and email address are number. Updated on 2019 Via Kennedy 63 , San Lazzaro di Savena , ITALY (Postal Code: 40068). This sports center provides 25 meters x 16 meters, 1.5 meters - 1.8 meters depth, 1.5 meters - 1.8 meters depth, Indoors. Contact data for this Swimming Pool like phone number and e-mail address are number. Updated on 2019 Via dello Sport 4 , Pianoro , ITALY. This sports center provides 25 meters x 14 meters, 1.2 meters - 1.6 meters depth, 1.2 meters - 1.6 meters depth, Indoors. Contact info for this Swimming Pool such as phone number and email address are number. Updated on 2019 Via del Carpentiere, 40 , San Vitale , Bologna , ITALY (Postal Code: 40127). Among all of the activities offered by the center, if you are considering swimming you can expect to get pleasure from 25 meters, 8 lanes, Indoors. If you have to contact this Swimming Pool, e-mail address and phone number are both number. Via dello Sport , Quartiere Costa Saragozza , Bologna , ITALY (Postal Code: 40137). Among all of the activities supplied by the center, if you are keen on swimming you are going to enjoy 25 meters x 16 meters, 8 lanes, 1.2 meters - 5 meters depth, 1.2 meters - 5 meters depth, Indoors. If you need to contact this Swimming Pool, email address and phone number are both number. Viale Terme 844/a , Castel San Pietro , ITALY. This sports center offers 25 meters x 15 meters, 6 lanes, Outdoors. For this Pool, only phone number is number here. Updated on 2019 Via Augusto Murri ,113 , Santo Stefano , Bologna , ITALY (Postal Code: 40137). Few days ago a regular user of this center told us they offer Olympic size, 10 lanes, Indoor/Outdoor. Furthermore, they keep in good conditions 25 meters, 6 lanes, Indoors. Contact info for this Swimming Pool such as phone number and email address are number. Via Risorgimento 370 , Zola Predosa , ITALY. Swimmers like you reported 25 meters x 12.5 meters, Indoors. Phone number and e-mail address are number for this Swimming Pool. Via A. Costa 6 , Molinella , ITALY. Among all of the activities supplied by the center, if you are keen on swimming you are going to enjoy 25 meters x 12.5 meters, 1.2 meters - 1.8 meters depth, 1.2 meters - 1.8 meters depth, Indoors. If you need to contact this Swimming Pool, email address and phone number are both number.